Discussion in 'Article Discussion' started by Tim S, 5 May 2008. After giving away all our copies of Assassin's Creed PC to you lovely people, we've finally managed to get one of our own to review. Yeah, we know we should have thought ahead, but it's too late for that now. Check out the review and graphical comparison to see what we think. 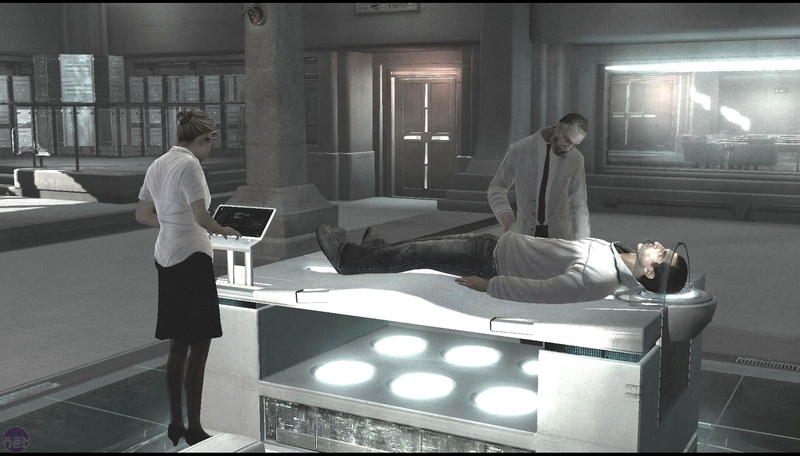 is it me or does http://images.bit-tech.net/content_images/2008/05/assassin-s-creed-director-s-cut/b17.jpg actually seem to have nothing to do with Assassins Creed at all? Are you kidding me? Director’s Cut! I Bought the normal one and I had fun. Why they make new one? it's not new, Same thing But with a different name, Can't really get why they made this. You've never played it then? This is the PC version of the console game. from those 2 Dx10.1 vs Dx10 shorts, all i can see is Dx10 have HDR....... don't seem like Dx10.1 have any improvement. I honestly liked the plot line - I thought it added another level to the game and is no doubt important for the spins off......Didnt mind the flashign symbols at all, and frankly they lead me to read up on the mayans, the lost japanese island and get really interested in alot of history again. 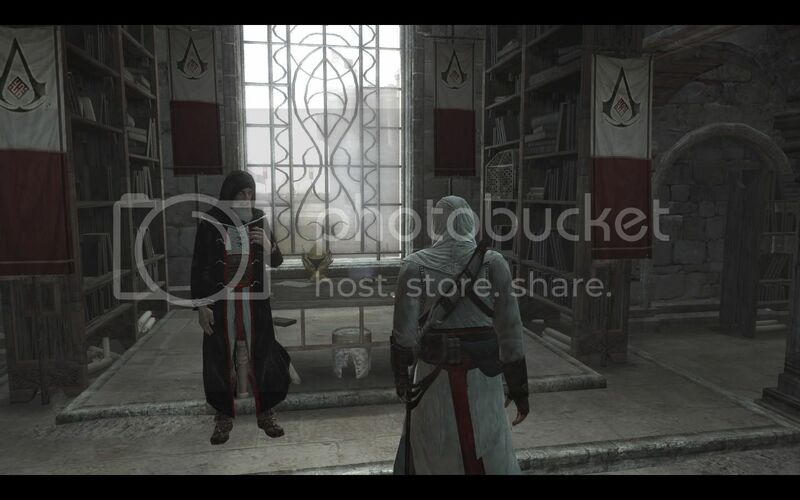 The symbols can provide you with another massively indepth level, most players will choose to go 'oh some symbols, wonder what they mean' others will be intreigued and do a little research on them like I did, so the makers of assasins creed can be credited with rekindling me long dead intrest in acient history! BUT yes very repetative, but then you make your own storoies in your head to match the game and things get alot better. Joe, I think you should start thinking about having better quality screenshots, because jpeg compression isn't helping when trying to see differences in antialiasing (i.e.). Maybe PNG, TIF, or a good JPG created in Photoshop. These are .Jpgs created in Photoshop, saved with 100% quality and zero compression. One thing that really annoyed me about this game were the ridiculous amount of jaggies in the pharmaceutical sections - even with 16xMSAA there's still loads of them about, which is totally ridiculous. Just got this on Saturday. It's pretty fun, I can actually understand why everyone likes it unlike Gears Of war. I like jumping all nimbly bimbly from tree to tree (err roof to roof). I'm really happy with the performance. Even though my cpu (AMD64 3200) didn't make the recommended requirements, I can still play with high frame rates at 1280x1024 with my 8800gt. Any comments on the conspiracy theories about why Ubisoft is really removing the DX10.1 paths? Really? Did you look at those images? Come on, they're full of compression artifacts around edges. 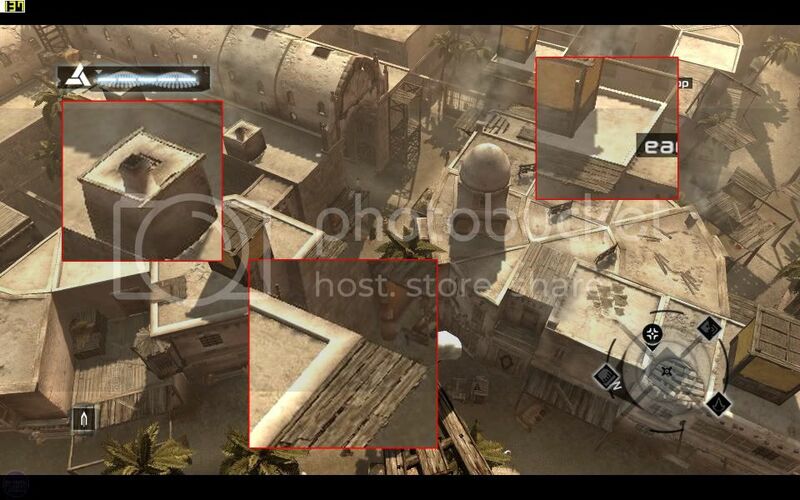 In the "Graphical Detail" screens you can clearly see them. Maybe it's my bleary eyes (bank holiday, natch) and tiny screen at home, but you'll have to highlight an example for me. I'm not seeing anything I didn't see when I played the game in the office. Maybe it's my bleary eyes (bank holiday, natch) and tiny screen at home, but you'll have to highlight an example for me. No problem. More than happy to help. Photobucket resized it for me (), but I think it's still fairly visible. More importantly, where the hell to does he think he's putting his hand?? Perv. Been playing this for 2 days now, never played the console version, must say I'm really enjoying every aspect of it, story line, graphics are some of the most visually appealing I've played.1280x1024 DX9 full AA runs great on my rig though you'd expect it to (e3110, 2GB, 8800GT). Any guesses on what the 1, 2, and 3 AA settings actually are? My guess would be 1 is no AA, 2 is 2xAA and 3 is 4xAA? No clue what kind of AA though. i *think* the AA is actually only on Dx10. because a friend's X1900XT cannot have AA, whereas i get AA (not enough IMHO) with my Dx10. Multiplectic, if you've played the game, you'd know that it's actually normal to see those. Then how come this screenshot, taken by me, doesn't have any? Normal screenshot, DX9, WinXP, highest in-game settings. Old fashion "Print Screen", pasted and saved in Photoshop.